Note: This is intended to be an organic document. Any corrections or suggestions for additional material – videos, pictures, articles – are welcome. It’s also a bit of an experiment. Please let me know what you think in the comments at the bottom. 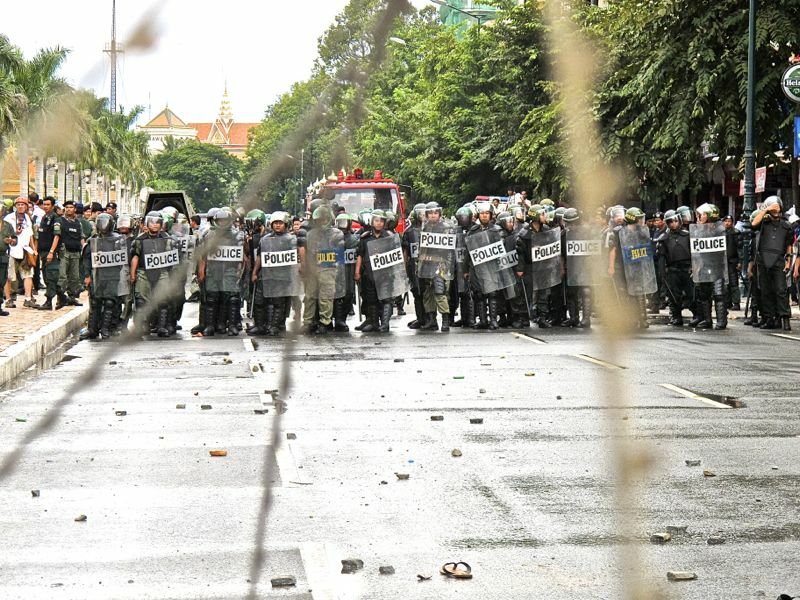 It could have been any Sunday morning in Phnom Penh. Motodops hustled, food cart vendors hawked, homeless kids scrounged, women cooked and gossiped, men gambled and gossiped. The sun was out but there was a storm on the way. Standard. There was just the small matter of the razor wire everywhere. And the soldiers.